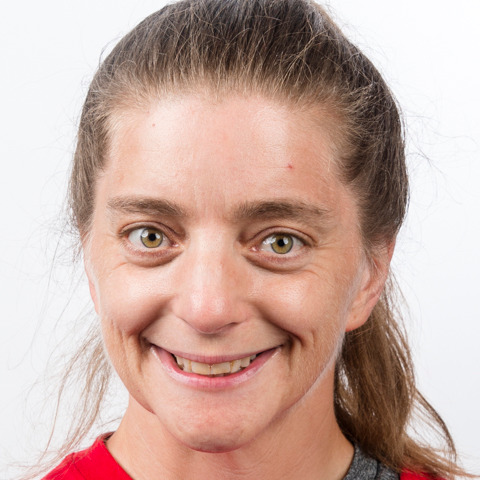 Tonya Cornett, of Lexington, is coming off a spectacular performance at the 2018 USA Games this past summer in Seattle, Washington, which saw her win four gold and one silver medal. During those Games, she was featured on ESPN as part of a story on Kentucky’s “Fab Five” - the five gymnasts the state sent to the Games. She has been a Special Olympics athlete for 28 years and has competed in artistic gymnastics for 24 of them. She has also competed in swimming, rhythmic gymnastics and cheerleading. This will be Cornett’s second World Games appearance. She also competed in rhythmic gymnastics at the 2003 Special Olympics World Summer Games in Dublin, Ireland, where she earned one silver medal in the all-around competition as well as three individual event bronze medals. Cornett is a Special Olympics leader in every way. A trained Global Messenger, she has spoken on behalf of the organization countless times. She served a term as the athlete representative on the Special Olympics Kentucky Board. As a member of the Lexington Showcats gymnastics and cheerleading teams, Cornett has regularly assisted her coaches, serving as a valued mentor to younger and less experience team members. Cornett is also an outstanding singer and has performed the National Anthem before numerous Special Olympics Kentucky events.